Place the prepared bread slices into the preheated skillet, and cook, turning once, until golden brown on each side. 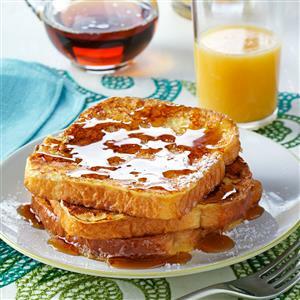 Place cooked slices on a serving plate and cover with foil to keep warm until all French toast is cooked. Serve immediately. This entry was posted in Breakfast on December 17, 2016 by lonny.